The second episode of Sherlock's fourth series managed to do something I could never have imagined. It has reinvigorated my interest in the series. Like a lot of critics my review of the opening episode The Six Thatchers was rather scathing, pointing out wrapped up in itself the show had become. I stand by that but, I've always hoped that Sherlock could wow me again like it had done in its early years. I went into the second episode with partially open mind with fingers crossed that it could win back. 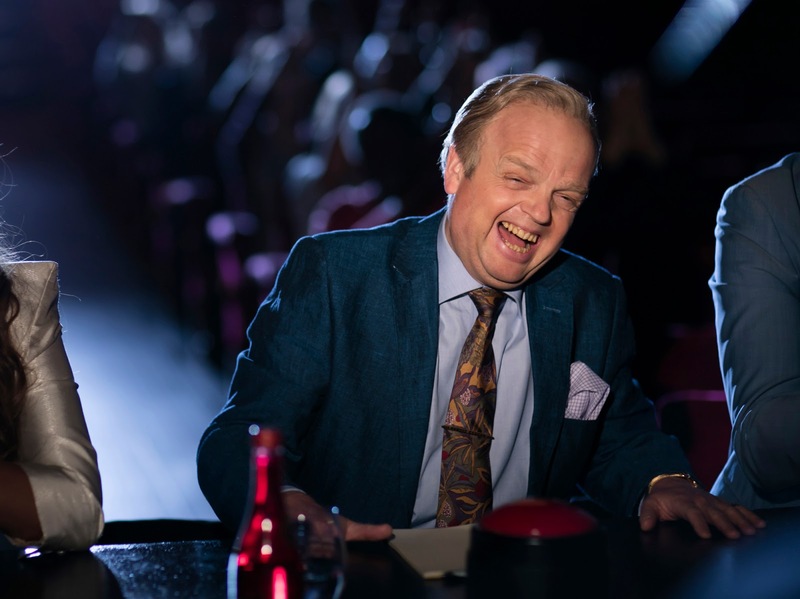 I was intrigued by Toby Jones as Sherlock's new caricatured nemesis. The introduction of Culverton was a little cartoonish with his extra big teeth and the way he would glance at the camera he was also incredible watchable. Steven Moffat painted him as Sherlock's most untouchable foe yet. Hinting at connections to the Queen. Respected by anyone he meets and with access to anywhere he might want to go. Could Moffat have used Saville as inspiration here? It was what was in its quieter final scenes that I found myself warming back to the series and when it was revealed that John's love interest from the first episode, Sherlock's companion on his London walk and John's new therapist where all the same person! As the therapist literally peeled back to layers she announced to a stunned Watson that she was Sherlock's sister Euros. So, now that I've had a night's sleep to think about the episode and that wonderfully unexpected ending here are the questions I prey we get some answers for in the finale next week. 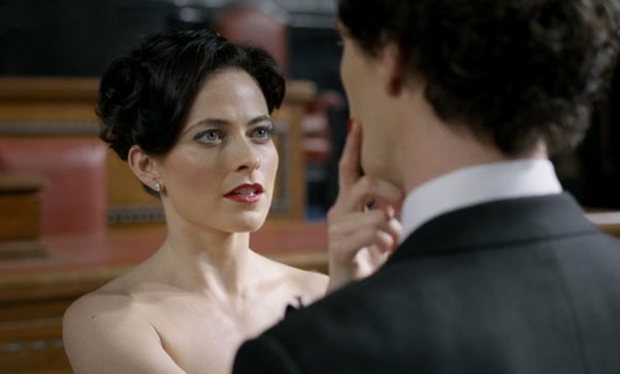 1) Will Irene Adler be returning? It was reveled last night that Sherlock is still in contact with Adler and the pair send each other texts. I'd love to see them back together on screen. 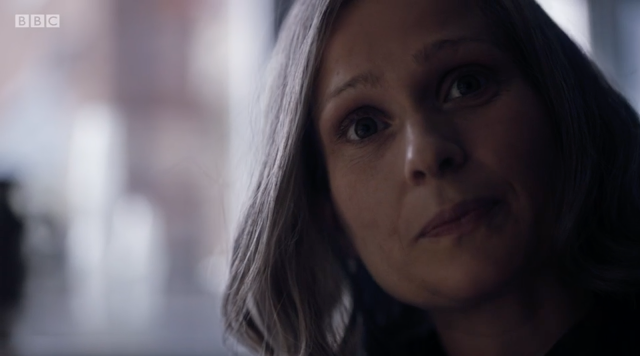 Could she be back to save Sherlock from his vengeful sister? 2) What does Euros want and is she dangerous? The episode ended with Sherlock's sibling pointing a gun at Watson so one can assume she's not the full picnic basket, but does she pose a threat to Sherlock and Mycroft and if so what? 3) Why didn't Sherlock recognise his sister? I know he spent the majority on a cocktail of drugs but someone with the ability to spot a hair on a carpet could surely spot his own sister in disguise. It makes me wonder whether the pair have ever had any contact. 4) Has Euros been pulling all the strings since Moriarty's demise? Though we've long learnt not to take in the Sherlock universe as red could it be that all the 'Miss Me' messages could've come from the sister all the time. 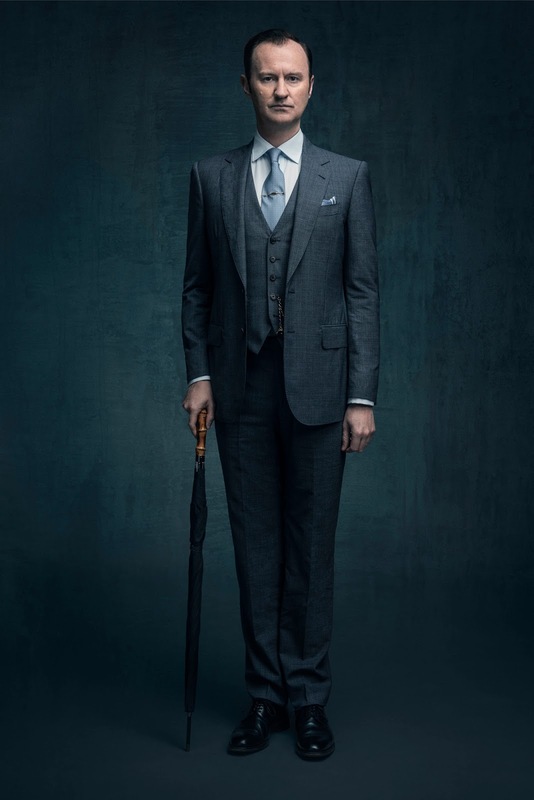 5) How much does Mycroft know? Sherlock might be a genius but Mycroft always appears to be a least one step ahead of his brother in the bigger matters of their lives. 6) Will Mary Watson appear again? She appeared in this second as part of John's conscience but I wonder know that he is admitted that he was unfaithful to his late wife whether he has laid her to rest. 7) Will Sherlock and Watson reunite like the old days? 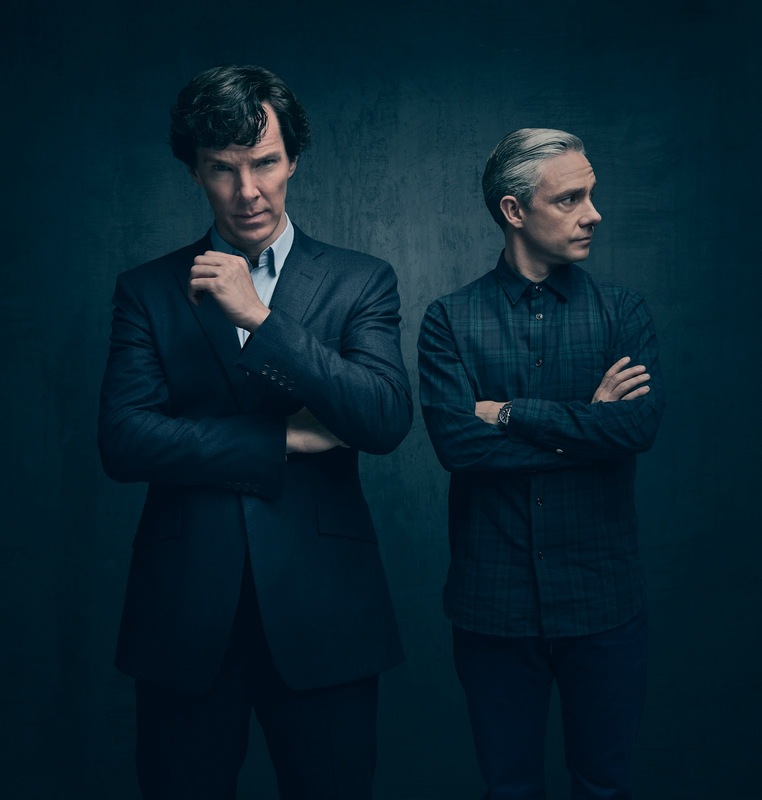 For me the show is at its best when Holmes and Watson work together to solve something. I hope the final episode of the series can see the characters return to that mode as John's barely been in this series. Only appearing to berate Sherlock. Read our full of The Lying Detective.